Using just a 55-gallon barrel, three baboons liberated themselves the confines of a biomedical research facility this weekend for about half an hour before they were captured and returned to incarceration. Texas Biomedical Research Institute (TBRI) holds about 2,500 animals, including 1,100 baboons, which the facility uses to test vaccines and drug therapies. 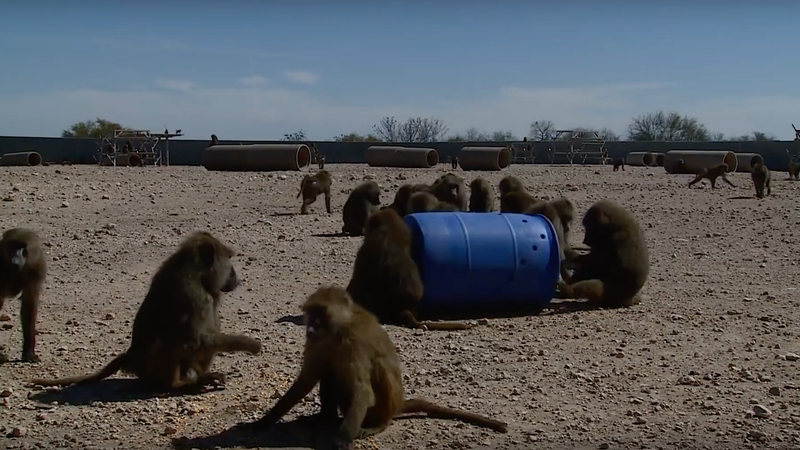 The baboons are contained in a large open pen filled with concrete tubes, climbing structures (literal monkey bars), and, until this week, blue 55-gallon barrels filled with grains so animals can roll them around to shake out food—an effort to mimic foraging. This large open-air enclosure has inward-leaning walls, which have prevented animals from escaping since it was built about 35 years ago. But on Saturday one baboon learned to put a barrel upright and use it to get to the top of the wall. Then three other baboons monkey-saw and monkey-did. 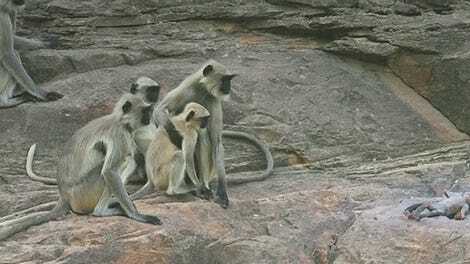 Four baboons scaled the wall, but one returned on its own volition. The remaining three were apprehended by members of the animal care and animal capture team, which wore protective suits and masks. San Antonio news outlet KSAT reported that witnesses were concerned the baboons were carrying infectious disease. A news release from TBRI stated that the baboons weren’t infected. “No, they are very smart animals,” Cruz said. In fact, these particular baboons were not being used for a study. “The baboons in the corral are in holding and are typically used for breeding or they’re holding until we know what type of study they may be used for,” she said.